Sergei Frank, a former federal transport minister and chief executive of the state shipping company Sovcomflot since 2004, is unique among Russian state officials. He is the only one to have been adjudicated by a series of UK judges to have lied, been dishonest in evidence-gathering, and vindictive in his use of the courts against business rivals. This week in London, in a unanimous ruling by three judges of the Court of Appeal, Frank has been judged to have foolishly postponed the day of reckoning by unjustified criticism of his judges, and ordered to pay $75 million to a UK-based Russian shipowner. This puts an end to the 12-year vendetta which Frank has waged over allegations which this week’s ruling says were properly “dismissed because the transactions were not dishonest or in breach of trust”. Frank is also unique among Russian state officials. Despite all the judgements against him, and the millions of dollars of penalties for his misjudgements which Sovcomflot has had to pay, he hasn’t been sacked. Not yet. The 18-page judgement written by Sir Jack Beatson, Lord Justice of the UK Court of Appeal, follows a hearing on October 4. Read the judgement in full. Sitting also on the bench and joining this week’s judgement were justices Sir Kim Lewison and Sir David Kitchin. They unanimously agreed to uphold the trial judgements and orders, issued in 2010 and 2011, by High Court Justice, Sir Andrew Smith. Defeating Frank’s Sovcomflot (called the Fiona Trust parties in the judgement) in the Court of Appeal this week was Yury Nikitin, owner of the Standard Maritime group of shipping companies. Left to right: Lord Justice Beatson; Yury Nikitin; Justice Smith. Lawyers for Nikitin say the total sum Sovcomflot must now pay, including interest, is “in the region of $75 million”. Sovcomflot, which has now lost in the High Court, the Court of Appeal, and the Supreme Court, has issued no comment on its website. There has been no Russian press report of the costly judgement, the largest ever ordered by a British court against a Russian state company. 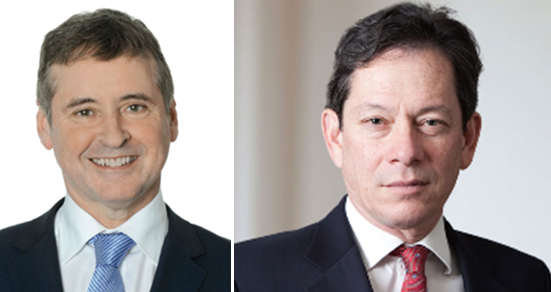 The lawyers whose 12-year defence defeated the Frank litigation – left, solicitor Mike Lax; right, barrister Steven Berry QC. The Court of Appeal leaves in place the 2013 judgement, also in the Court of Appeal, which dismissed Frank’s proceeding as “a vindictive claim rather than a compensatory claim.” For details, read this. Frank, who was educated in a school for merchant mariners in the Russian Fareast, was the federal minister of transport between February 1998 and February 2004. An appointee during the regime of Boris Yeltsin and Victor Chernomyrdin, he was purged by President Vladimir Putin, and replaced by Igor Levitin. Frank then spent months lobbying to recover power by taking the post of chief executive of Sovcomflot, then one of two state shipping companies. By September of 2004, he had succeeded in ousting Sovcomflot’s chief executive, Dmitry Skarga. Four years earlier Skarga had been appointed to renovate Sovcomflot’s obsolete fleet, reduce its Soviet-era debt, and clean up management corruption. Appointing Skarga, a St. Petersburg-educated marine officer, were Igor Sechin, then an assistant to Putin, and a group of businessmen with ambitions to expand their oil transportation interests; chief among them was Gennady Timchenko. Left to right: Dmitry Skarga; Igor Sechin and Gennady Timchenko; Sergei Frank. 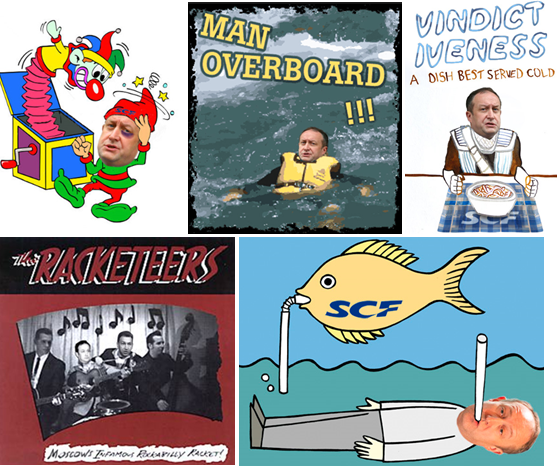 Frank opposed their plan to privatize Sovcomflot when he was minister. Skarga blocked Frank from inserting his own men into Sovcomflot’s and Novoship’s ship brokering operations. For a time Skarga prevailed with backing from Frank’s superiors in the first Putin government, Dmitry Kozak, then deputy chief of the presidential staff, and German Gref, then Minister of Economic Development. To remove Skarga and take his job, court records reveal that Frank promised Sechin and Timchenko to support a privatization in their favour, adding a takeover of the second state shipping company, Novoship, to Sovcomflot’s assets, and increasing future value at sale. To secure his new seat, Frank began a campaign to destroy Skarga, then a senator for Volgograd in the upper house of the Russian parliament; Novoship executives who opposed Frank’s takeover scheme; and Russian business interests whom Timchenko wanted to remove for his own profit. Skarga had vocally opposed Frank’s scheming before Putin removed him from the transport portfolio, as this report from 2003 revealed. 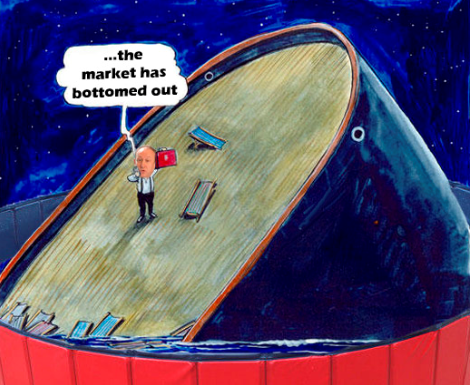 But by the time Frank had managed to overcome opposition to his takeover of Novoship, he was unable to get the Kremlin to agree to privatizing Sovcomflot, according to the Skarga plan. Read more. Fearful that Skarga stood between Frank’s payoff from the selloff of the Sovcomflot-Novoship combination, in 2005 Frank ordered Sovcomflot’s legal department to start a case in the UK High Court against Skarga. In parallel in Russia, Frank started criminal charges against Skarga. The aim was to discredit Skarga’s business reputation and silence his supporters in the Russian government and press. The case against Skarga in London accused him of new vessel contracts and tanker charters which allegedly caused Sovcomflot $577 million in damages. The Russian charges against Skarga were that he had acted corruptly, taking bribes in exchange for business favours. Skarga was exonerated by the British courts and Frank ordered to pay his legal costs. Tagir Izmaylov, the former head of Novoship, was also exonerated and Frank ordered to pay his costs and an indemnity. Frank continued pressing the Russian charges, providing Russian prosecutors with materials the UK courts identified as illegally stolen in London. When the Russian allegations were presented to the British authorities in an application for Skarga’s extradition, they were dismissed, and Skarga allowed to remain in the UK. There he remains. The Russian charges have never gone to a local court. Frank remains unable to privatize Sovcomflot, whose business misconduct has been exposed like no other Russian state company. The dossier of reports on the case stretch over twelve years, commencing in the London maritime media led by Fairplay. The dossier can be opened here. Frank has sponsored press coverage in rival international media, Lloyds List of London and Trade Winds of Oslo; blacked out Russian press coverage of the London trials; and attacked me personally. Sovcomflot is lossmaking this year, ending a recovery from 2013, when Sovcomflot reported losing $39.2 million for the year. Frank’s latest statement to shareholders claims the fault isn’t his. Frank has also run up Sovcomflot’s debt to its highest level in history. The latest financial report for the nine months to September 30, 2017, indicates short and long-term loans now amount to $2.58 billion. That’s an 18% increase of indebtedness over a year ago; and 9% higher than the previous record Frank set for Sovcomflot’s debt in 2012, when his borrowing hit $2.36 billion. Frank’s financial reports also dissemble the financial damage which his losses in the London courts have imposed. He has instructed auditors Ernst & Young not to make provision for the multi-million dollar sums the court has ordered Sovcomflot to pay. 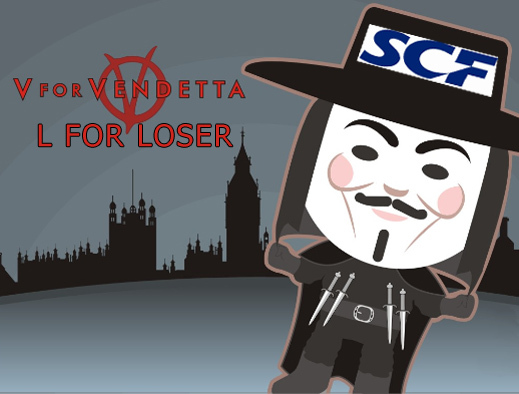 Instead, as the court judgements against Sovcomflot have mounted, Frank reported to shareholders that his continuing appeals to the higher UK courts removed the likelihood the company would have to pay up. In the latest release, repeating a note in the annual report for 2016, Frank claimed the penalty of $70.8 million, awarded against Sovcomflot a year ago, would never have to be paid. For details of the award when it was made, and Frank’s defeat in the case, read this. If the court order of October 2016 for Sovcomflot to pay $72 million had been counted in the company accounts, the declared bottom-line profit for 2016 of $206.8 million would have been reduced by a third. By postponing the reckoning to this year, Frank’s order will cause a blowout for Sovcomflot’s losses. Frank has lodged a request for Sovcomflot to appeal against Beatson’s judgement to the Supreme Court, the highest of the British courts. Lawyers familiar with British legal procedure say they expect the Court of Appeal to dismiss the application, and the Supreme Court to follow if Frank attempts to go that far.